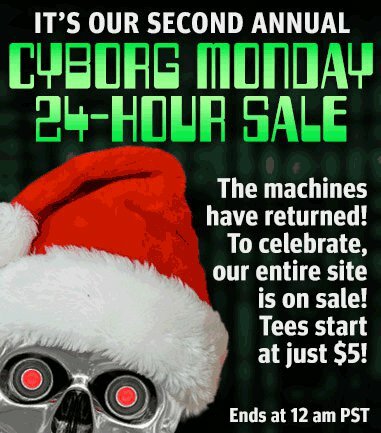 Leave it to Headline Shirts to put a cool twist on the Cyber Monday concept. They got in a creative room and decided to call their sale Cyborg Monday. And what a sale it is! The entire catalog is up for grabs for cheap, including some designs for only $5. 50% off all Angry Birds Tees. What? That’s a massive Cyber Monday sale you probably don’t want to miss out on. Deal ends November 26, 2012, so get on it. 20% off at 5&A Dime for Cyber Monday. Use code CYBER at checkout. Here’s a great deal from Living Dreams for Cyber Monday. 50% off their snap back hats. Use code MONDAY at check out. Smokin’ Cyber Monday deal from DQM’s entire catalog. 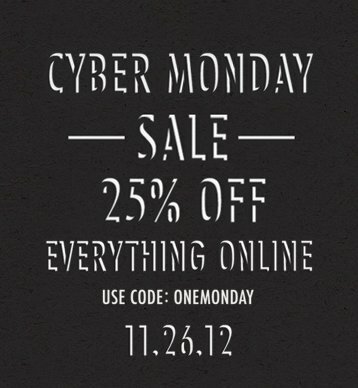 Use code ONEMONDAY for 25% off your order. Offer good through November 26, 2012. Johnny Cupcakes hardly ever has sales, so sit up and take notice, ‘cuz if you use code CUPFLAKES at checkout, you’ll get 20% off your order. Offer ends November 26. 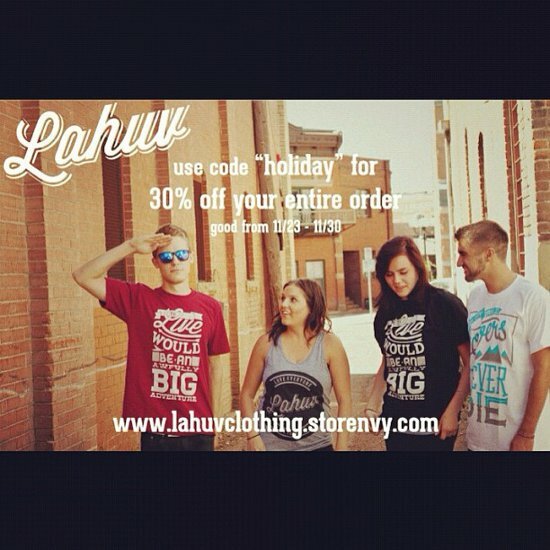 Use code HOLIDAY at checkout for 30% off your entire order at Lahuv Clothing. This is quite an awesome deal, so I suggest you get on this immediately. Offer is good through November 30, 2012. Tees for $9.99. Hoodies for $29.99. Free shipping on orders of $49 or more. 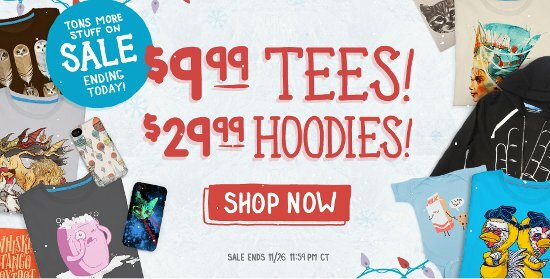 This is a Cyber Monday bonanza going on at Threadless and you best take advantage. Hurry…this thing ends November 26, 2012 at 11:59 Central Time. Get 25% off at Horizon Clothing Company November 26, 2012. Use code CYBERMONDAY. Get 30% off at Glennz Tees for Cyber Monday. You know you want at least a dozen designs over there because they’re so damn clever and good looking. Now’s the time to stock up. Deal ends midnight November 26, 2012. 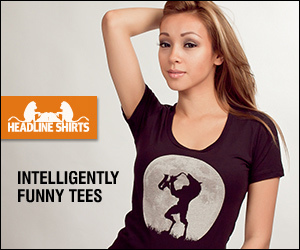 Save 30% at Busted Tees until November 23, 2012 9 PM Eastern Time. Then from 9 – 11:59 PM Eastern Time save 15%. 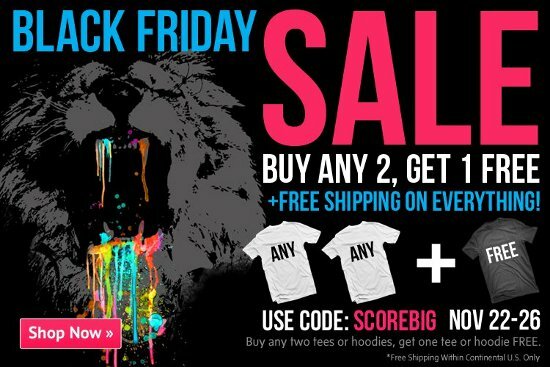 And, then the Busted Tees Black Friday deal is over. You see what I’m getting at don’t you. Hurry up and take advantage of the sweet savings. Use code BACK2BLACK at checkout. Buy 2 shirts and get one free and free shipping on everything. Use code SCOREBIG at checkout November 22-26, 2012. This is a pretty great deal especially if you have had your eye on a few of their designs. Take advantage of this super holiday deal from Design By Humans.